We have shaped our curriculum in such a way that it acknowledges the existence of multiple types of intelligences and its diverse expression in each student; and the senior secondary curriculum is designed to address all the versatile forms intelligence takes. Visual, auditory, logical-mathematical, kinesthetic and naturalist elements are incorporated into a well-rounded curriculum. Anan adopts and adapts the philosophy of CBSE. 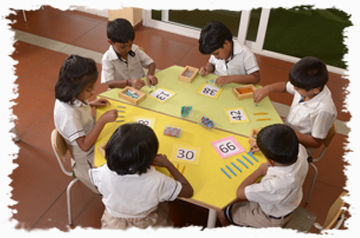 Children learn to solve problems through teamwork. They learn the skills of learning for continuous improvement. The Primary and senior secondary curriculum at Anan integrates all learning areas with each other in terms of knowledge, life skills, comprehension, values and attitudes. Education at Anan helps the learners to connect the content of their learning areas and subjects with their own lives and the world around them. 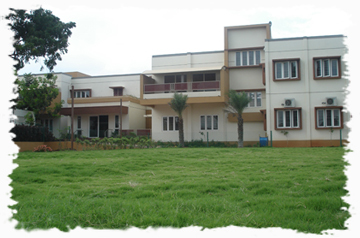 Our aim is to take our students to excellent colleges and universities in India and abroad, in preparation for successful and dynamic careers by providing a well rounded curriculum incorporating visual, auditory, logical-mathematical, kinesthetic and naturalist elements.